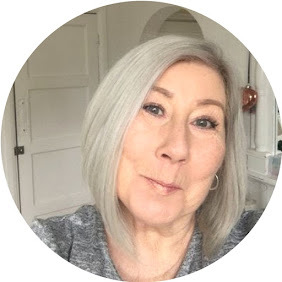 I can't tell you how much I have fallen in love with the brand Super Facialist by Una Brennan, I tried out the Retinol range back in September which you can read here. I was delighted to try out the Neroli range which is the one on review here. If you are new to this brand, trust me you will be astounded at the quality of this brand, for want of a better word I will name it as budget skincare, although please don't confuse the value with cheapness there is nothing cheap about this brand other than the price. Which it's worth noting is on special offer currently, I will pop a link below. The Neroli range is predominantly aimed at lifting and tightening and is full of anti-oxidants and gentle acids. At times like these I wish there was such a thing as smell o vision, the fragrance is a powerful clean spa like fragrance which I could imagine you either love or hate, I love it. It reminds me of some of the very best facials I have ever experienced. The last time I wrote about this brand I had fabulous emails from readers who bought, tried and loved it as much as I did which is the best thing ever for me and makes writing the blog 100% worthwhile. A gel like facial wash which emulsifies when added with water for a fabulous refreshing cleanse. I personally don't usually like anything that resembles gel or soap I am a huge fan of oils and balms, I didn't expect this to be anything other than a morning cleanse on clean skin, it did however, melt away a full face of makeup after removing eye make up separately. I absolutely adore this serum and to be honest it is good enough to use alone and double as a primer if you have skin that doesn't need too much moisture, obviously it's designed to go under day/night cream but it is a beautiful stand alone product for days in the house when you don't want to make any real effort. Containing Hyaluronic Acid and Apple derived stem cells it the best drink you could give your face. This day cream can of course be used alone but doubled with Facial serum it leaves you feeling as though you have had a full on facial. my skin positively glows and feels really fresh when using these together. The SPF saves you applying this as a separate product leaving you confident that your skin is protected from the dangers of damaging rays. The lightweight cream formula absorbs easily and leaves skin moisturised but not greasy. The moisturising effects last well throughout the day right through to evening. My foundation stayed in place well all day and I didn't experience any dry patches or discolouration of the foundation. Completing the routine at the end of the day this night cream hydrates without being greasy, it is heavier in texture than the day cream as to be expected. The fragrance is deeply relaxing while the Hyaluronic Acid and plumping Tetrapeptide ensure you wake up to soft bouncy skin in the morning. There is something lovely about knowing your night time treatment is working for you while you sleep. I have honestly loved this range and plan on exploring more from the Super Facialist brand as the quality and price has been seriously impressive. Have you experienced the brand? please let me know your thoughts in the comments section.